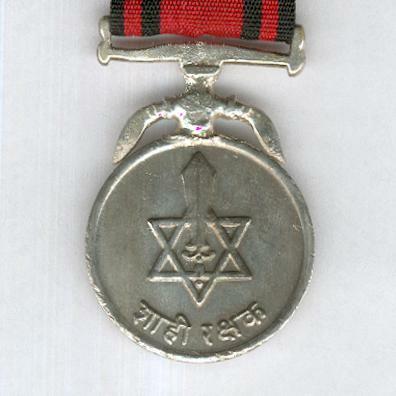 Circular silvered metal medal on double kukri and ribbon bar suspension; the face with a double-triangle six-pointed star, an upright sword imposed, a Nepali inscription below; the reverse inscribed in Nepali and dated ‘2033’ below (B.S. 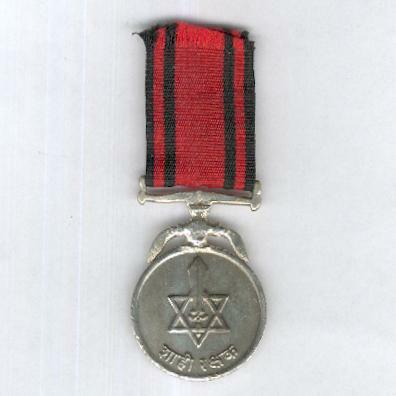 2033 = A.D. 1977); on original ribbon. 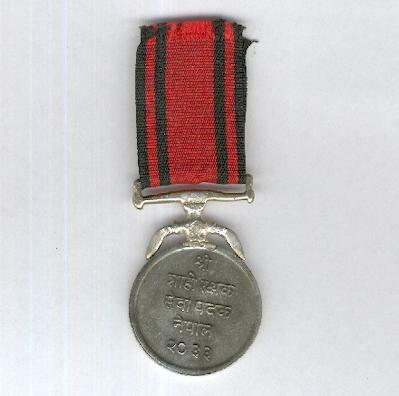 The medal was instituted in 1977 by King Bīrendra and awarded for service as a palace guard. 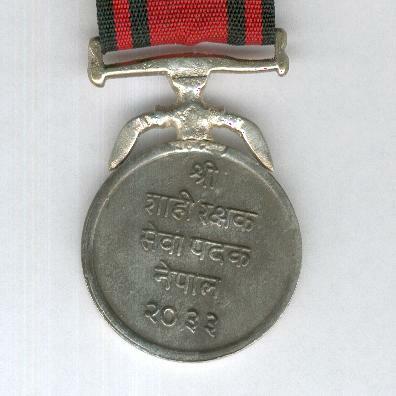 Following the abolition of the Nepalese monarchy in June 2008, the medal will not be awarded again. It is not often found.